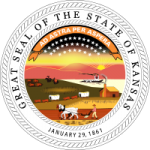 The Kansas Child Support Calculator is a worksheet through which you can calculate the amount of child support you may have to pay or may be able to receive. The calculator uses the guidelines promulgated by the Kansas Supreme Court, Administrative Order No. 261 and they are the same guidelines used by the court and the Child Support Services when creating and modifying child support orders. This worksheet only provides an estimate of the amount of child support you may be obligated to pay. The Kansas court or CSS may come up with a different amount due to various factors that may be unique to your situation. Figure out proportionate income by adding parents’ combined income and dividing each parent’s income by the combined income. Find the Gross Support Obligation on the chart for each child using the Combined Income.